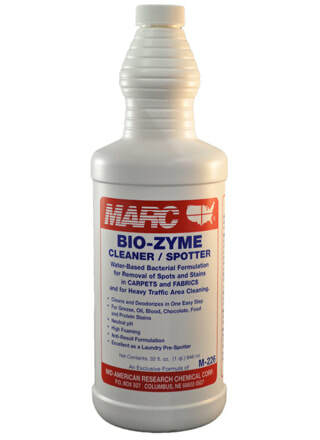 ​A water-based bacterial product for removal of spots and stains in carpets and fabrics, and for heavy traffic area cleaning. Cleans and deodorizes in one easy step. High foaming, anti-resoil formulation.